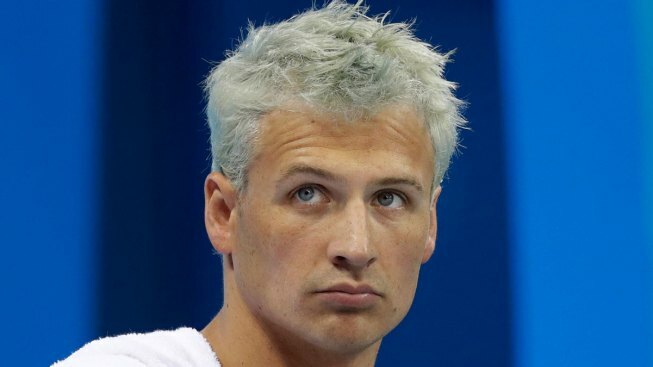 The Olympian swimmer, who has now lost all of his sponsorships following the Rio robbery scandal, is "not doing well"
Ryan Lochte is feeling the harsh repercussions of his recent bad behavior. The Olympian swimmer, who has now lost all of his sponsorships following the Rio robbery scandal, is "not doing well," a source tells E! News. The insider explained that Lochte, "feels like his life is crumbling under him. He is reevaluating everything. He honestly did not think this was going to be blown out of proportion like it was." "He just felt like he had to keep up with this lie or else," the source said. "After everyone found out the truth he knew it was over. He really does feel bad." The source also tells E! News that Lochte's girlfriend, Kayla Reid, "has been there for him during this mess." 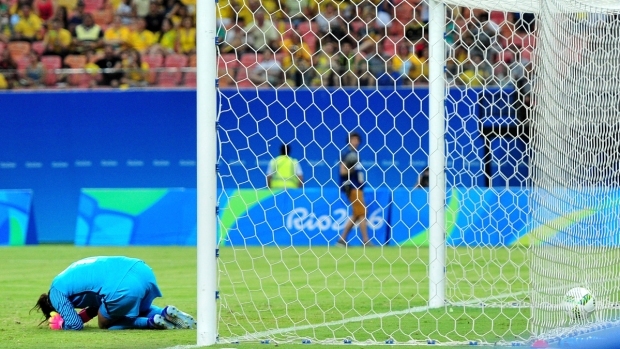 His teammates aren't very happy with how this all panned out, either. The insider tells E! News that Lochte's fellow Olympians "all think that this was a really wrong move. His teammates are not happy. It's a bad look for all the U.S. swimmers and USA." Additionally, the source shares, "They want him to learn and he will surely pay the consequences. He is still one of the best swimmers, so they do hope by the time the next Olympics happens, Ryan has learned his lessons and cleaned up his act. Ryan has apologized to a few via text and calls. His teammates have spoken to him numerous times to check in on him, because in the end a team is a team." The controversy ignited after Lochte spoke with NBC's Billy Bush, claiming the athletes' taxi had been pulled over on the side of the road and robbed with a gun cocked to his head by a man with a fake police badge. In a subsequent interview with Lauer, he said they had actually been at a gas station when the robbery occurred. The discrepancies in the stories and their differing testimonies to Brazilian police called the entire event into question. "That's why I'm taking full responsibility for it because I over-exaggerated that story and if I [had] never done that, we wouldn't be in this mess," he shared. "The people of Rio...the authorities--they put on a great games," he continued. "My immature intoxicated behavior tarnished that a little."